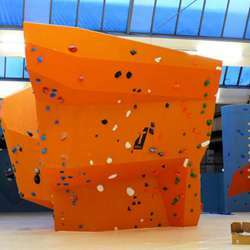 You must be a member of the Cologne Bouldering and Sport Climbing Group to attend this activity. Would you like to join this group? Bouldering meet-up for beginners and everybody else! "I found a new hobby!" "This is addictive!" These are some of the statements from the last meet-up's newcomers. So just give it a try! Protected content is one of Cologne's best and biggest boulder-gyms. We will meet up in front of the building or in the lobby. The building is in an industrial area, so better check the location on the website. If you have never been there, you will have to register first at the lobby's computer. Everybody pays the entry for himself, which is 12,50 € for the whole day. If you want to rent shoes or chalk, that will be additional 4,5 and 1 €. The activity will last for 1,5-2 hours, according to your fitness and mood. What to wear? Standard sport clothing (like for the gym) is enough. What shoes? Indoor shoes with clean sole please! Otherwise you can rent climbing shoes, but for the first time they are not necessary. What is chalk? We use Magnesium powder (chalk) for keeping our hands dry. I will bring some, so don't care about that. Keep in mind that chalk will make your skin dry, so, if you care, bring some skin care cream.